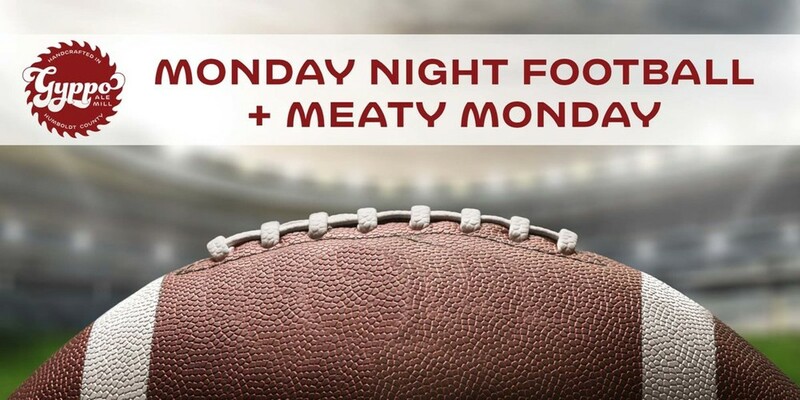 MEATY NIGHT FOOTBALL-EVERY MONDAY 3 - 9 PM We are open on Mondays and here to stay. You can count on us to be playing the games and serving something "meaty." This will range from meatballs to sausages to whatever Chef Bob creates! You can even request that we show the game on the projector! Cheers!